Tamieka Alston-Gibson is a Board Certified Family Nurse Practitioner and founder of Visions Medical Health Care in Spartanburg, SC. She began her healthcare career working at Spartanburg Regional Hospital as a Patient Care Associate while attending nursing school at The University of South Carolina-Upstate. She later received a Master's of Nursing with a specialization in Nursing Education. 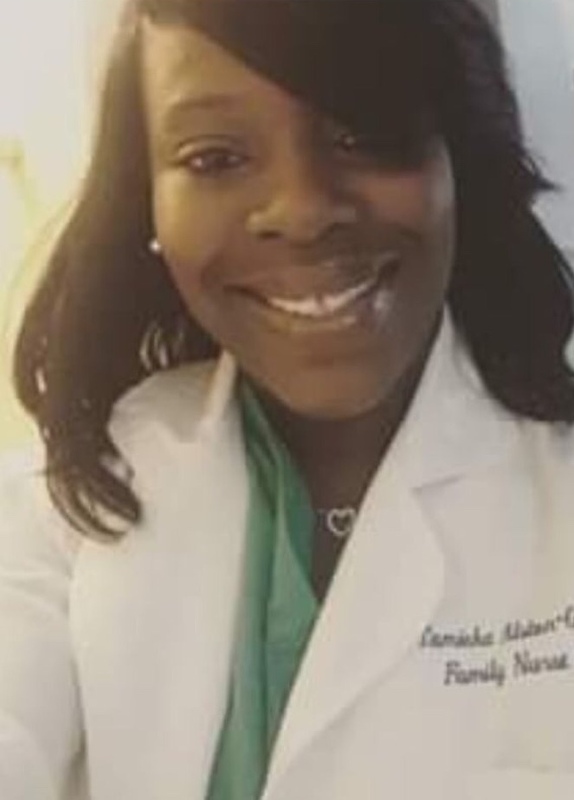 Tamieka believes that learning is an ongoing process and later pursued a higher level of education, receiving a Post Master's Nurse Practitioner Certification from the University of South Carolina - Columbia. With her advanced clinical training, Tamieka is licensed by the State of South Carolina to diagnose illnesses, treat acute and chronic conditions, and provide evidence-based health education to patients of all ages. Her scope of practice encompasses health promotion, disease prevention, in addition to diagnosis and management of health care problems. She currently specializes in Primary Care, Geriatric Care and House Calls. Since her entry into the field of healthcare, she has accumulated 13 years of nursing experience and expertise. She has a unique combination of strong nursing and interpersonal skills, striving to provide optimal care to her patient population. Tamieka Alston-Gibson believes in building long lasting and trusting relationships with patients and their families. Her ultimate goal is to provide a positive patient experience, ensuring privacy while delivering the highest quality of care. If there is a healthcare need or problem, Tamieka wants to be the solution. For Tamieka, assisting others is more than a job; it is truly her passion and ministry. Please Book An Appointment, I Am Eager To Assist You! I do not prescribe CONTROLLED SUBSTANCES VIA ONLINE!! !